Welcome to Cycling Church, founded by Steven Muir in Christchurch New Zealand in 2003. 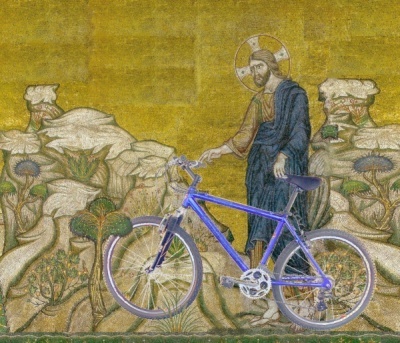 The main idea of Cycling Church is to encourage the spiritual benefits of outdoor activity and to stimulate the connection between the feeling of spiritual wellbeing in the outdoors and the act of worshipping God. Core values are appreciation of God in the outdoors, humour and caring for God’s creation as a core part of the Gospel of Jesus. Hope you find it inspiring. If you would like to buy a copy of PROSACC for $10 email thepope@cyclingchurch.org.nz for bank details.